As I write, The Republican National Convention winds down in Tampa, and the Democrat hoedown begins soon in Charlotte. Believe it or not, the political “preseason” is just ending and the campaigning starts in earnest. Did you know that in addition to Barack Obama and Mitt Romney, there are 19 people are running for president as nominees of their respective parties, and five more are running as independents? That’s what I got from a Web search. Some of the candidates will actually get votes. Libertarian Party nominee Gary Johnson is on the ballot in 40 states thus far. The Green Party’s Jill Stein, a Massachusetts physician, has ballot access in 32 states. There are many other parties that have nominated candidates – household names like the Socialist Workers’ Party, the Reform party, the Peace and Freedom Party, and of course the old reliable Prohibition Party. I don’t know anything about their candidates, and I’m not going to seek them out. Which might mean I’ll be missing out on some of the fun of politics, America’s favorite spectator sport. 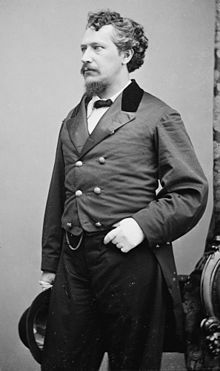 Amondson died of a stroke shortly after the last election, but the Prohibition Party has contested every election since 1872. Its candidate this year is Jack Fellure of West Virginia. establishing a cabinet post of “Secretary of Righteousness.” His day job was “King of the World.” He crowned himself king in 100 countries and ruled the world from a hotel room in Jerusalem, wearing a gold-painted crown and sitting on a folding chair. LAR “AMERICA FIRST” DALY (Tax Cut Party) Ran against Kennedy in 1960, campaigning in an Uncle Sam costume. He also ran for many other offices during his lifetime. He wanted to legalize gambling and shoot drug dealers on sight. He once told Harry Truman that he wanted to drop the first atomic bomb on Moscow. Daly also was a big fan of Douglas MacArthur, and he filed MacArthur’s name for President in every election from 1936 onwards. In the 1950s he announced that he was “100 per cent behind” Senator Joseph McCarthy’s investigations into domestic Communist activities. Daly’s day job was operating a chair and stool company out of his garage. But his incessant demands to be given equal time whenever a mainstream candidate appeared on air, citing Section 315 (the “equal time” provision) of the Communications Act, caused Congress to amend the law so that broadcasters didn’t always have to give equal time. Daly died in 1978. 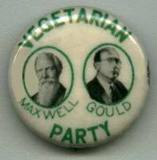 JOHN MAXWELL (Vegetarian Party) – He was an 85-year old vegetarian restaurant owner who founded the party and ran with running mate Symon Gould against Truman in 1948. He pledged to abolish medicine, and he wanted to pass a law prohibiting farmers from spending more than 20% of their time raising cattle or poultry. He also wanted government ownership of all natural resources and a $100 per month government pension for everyone over the age of 65. His favorite vegetable was any one, except okra. GEORGE TRAIN (Independent) – Ran against Ulysses Grant in 1872. After his unsuccessful presidential bid, he campaigned to be America’s first dictator. He charged admission fees to his campaign rallies, and drew record crowds. Instead of shaking hands with other people, he shook hands with himself. That was a type of greeting he had seen in China. He spent his final days on park benches in New York City’s Madison Square Park, handing out dimes and refusing to speak to anyone but children and animals. But before his sad ending, the Boston-born Train had a most interesting life. He started in the mercantile business and at age 31, in 1860, he went to England to found horse tramway companies in Birkenhead and London. His trams were popular with passengers, but his designs had rails that stood above the road surface and obstructed other traffic. In 1861 Train was arrested and tried for “breaking and injuring” a London street. Train was involved in the formation of the Union Pacific Railroad during the Civil War, but left for England in 1864 after having helped set up the infamous Crédit Mobilier of America. That company had been formed to sell construction supplies for the Union Pacific, and its attendant payoffs and scandals rocked the nation. In 1870 Train made a trip around the globe which was covered by many newspapers. It likely inspired Jules Verne’s novel Around the World in Eighty Days. Phileas Fogg is believed to be modeled on Train. In 1890, he made his third circumnavigation of the earth in 67 days. A plaque in Tacoma, Washington commemorates the point at which the 1890 trip began and ended. While in Europe after his 1870 trip, Train met with the Grand Duke Constantine and persuaded the Queen of Spain to back the construction of a railway in the backwoods of Pennsylvania. That was the funding for the Atlantic and Great Western Railroad. Back in America he promoted the Union Pacific Railroad. His company, Credit Foncier of America, earned Train a fortune from real estate. He was in on the action when the transcontinental railway opened up settlement and development of huge swathes of western America, including large amounts of land in Omaha, Council Bluffs, Iowa and Columbus, Nebraska. In 1872 he ran for President of the United States as an independent candidate. He supported the temperance movement and that year he was jailed on obscenity charges while defending Victoria Woodhull. Her newspaper had published an issue reporting the alleged affair of Henry Ward Beecher and Elizabeth Tilton, each married to other people. Train was the primary financier of the newspaper The Revolution, which was dedicated to women’s rights, and published by Susan B. Anthony and Elizabeth Cady Stanton. LEONARD “LIVE FOR EVER” JONES (High Moral Party) Ran against Lincoln in 1860. Jones believed that as an immortal, he was made for high office. Fortunately, voters didn’t agree. He also ran for governor of Kentucky, where he was born. His campaign style was to speak while jumping up and down on the spot and banging the ground with his cane. Jones filed a lawsuit against President Buchanan in 1856 on the grounds his name had not appeared on the ballot. He also sued Lincoln in 1860, trying to have the election declared invalid. When Lincoln was murdered in 1865, Jones took that as a sign from God that the “morally elected president” (himself) had not been allowed to serve. Jones thought that mortality was a side effect of immortality, and anyone could achieve immortality through a regimen of prayer and fasting. 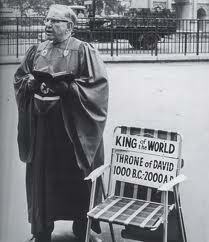 His brother was Laban Jones, a renowned preacher of the time. Jones caught pneumonia and died in 1868, refusing medical aid because he believed that his sickness was moral at its base. So – see what we’re missing if we don’t pay attention to those third-party candidates? You are currently browsing the Veteranscribe's Blog blog archives for August, 2012.